If it weren’t for great people like you...there wouldn’t be grateful people like me.” Just wanted to say I appreciate all you did for me at a very scary time. It turned out good. Thanks very much - Mr. Sisson and all your staff, for all that you did helping me. Words can’t express how grateful I am. Thanks again. Mr. Sisson - Thank you for taking the time to talk to my Dad and I about my situations. Everything worked out for me in the end. 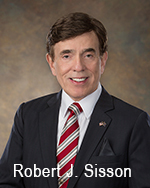 Attorney Sisson handled my matter to my complete satisfaction. If you’re facing bankruptcy or need debt relief, we’ll carefully explain the options available to you, and how each option will impact you and your family. Call us for your free debt relief initial consultation. We know that you will have many questions, like whether you will be able to keep your house, your car, or savings accounts for your children. We’re here to answer your questions and defend you against creditors. Pro-Se Divorce (Please note: Due to our extremely low rates with fees that start at $525 for parties without children and $725 for parties with minor children, there is no free consultation. You will have made the tough but firm decision to move forward with the dissolution of your marriage. You will have some sort of an agreement or ideas with respect to the division of assets, liabilities, child support and maintenance, etc. ).